Let’s face it. As Canadians, we so often like to feel ourselves superior to Americans when they get caught up in their latest national drama. But we also crave their approval when things are going well for us … such as with a certain baseball team! 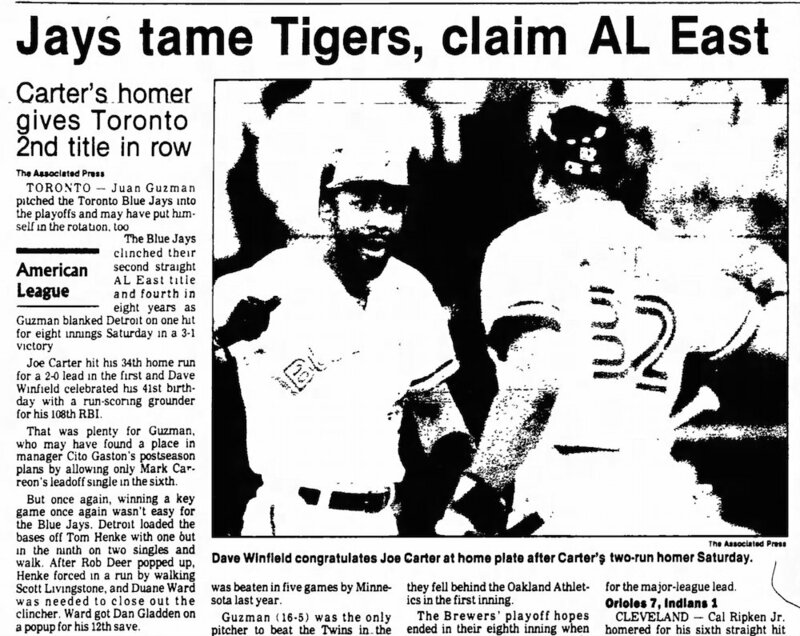 Personally, I remember on the field during the afternoon before the 1985 Championship Series with the Royals got under way, Costas proudly speaking of how he planned to stick up for Canada. How? 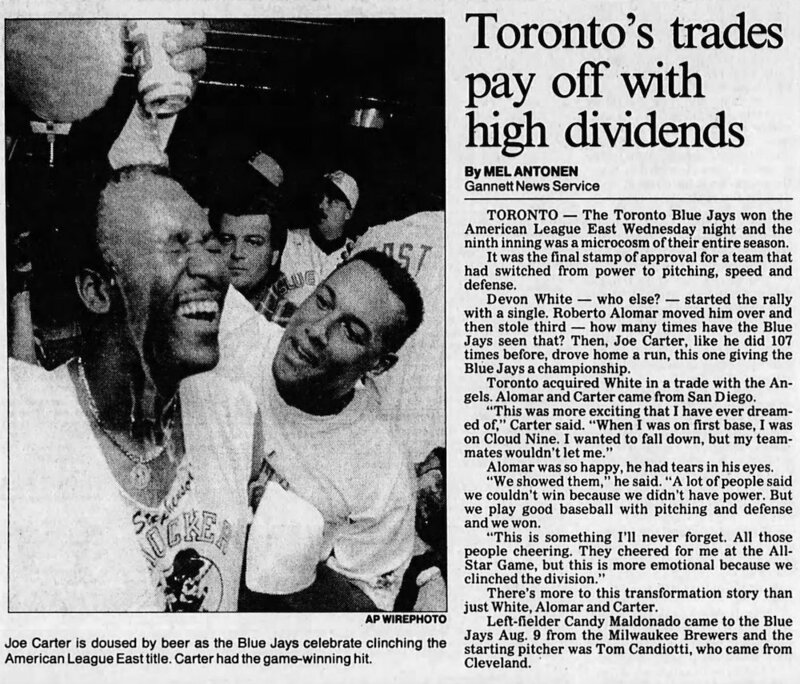 By mentioning that despite the cool weather in Toronto that night, there was already snow in Denver – which people at the time were touting as an obvious expansion site. Um, thanks … I guess. 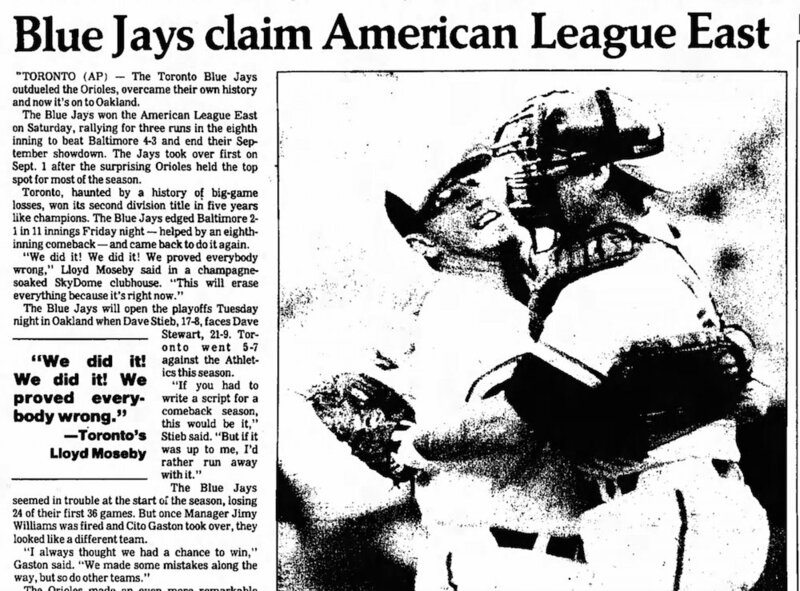 I also remember how, the next day, at least one Blue Jay (it’s been 30 years, but I think it was Buck Martinez, who missed the end of the season and the playoffs that year with a broken leg,) was disappointed that Tony Kubek – who had been the analyst on Blue Jays broadcasts since nearly the very beginning – had not been supportive enough of the team in game one in his main job on the NBC broadcast. So it’s not just the fans. Generally speaking, the U.S. media has gotten behind this year’s Blue Jays. It’s hard not to rally around a team that’s on such a roll. Still, there was that whole “Beer League” business back in August. 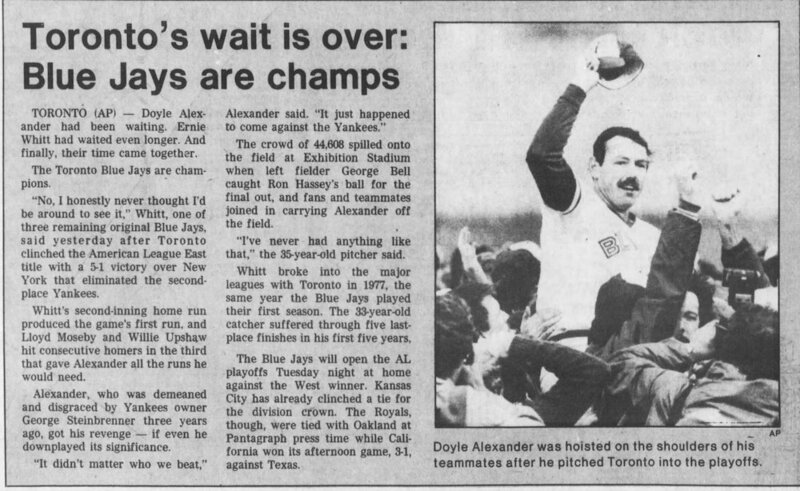 Anyway, here’s the American view of past Blue Jays division championships in newspaper stories the following day. And here’s hoping there’s another one to add as soon as tomorrow! I remember all those comments back then that we took as insults and I remember how angry we were. Just a few weeks back I was watching the Jay game on TV and when it was over I didn’t turn off the TV. 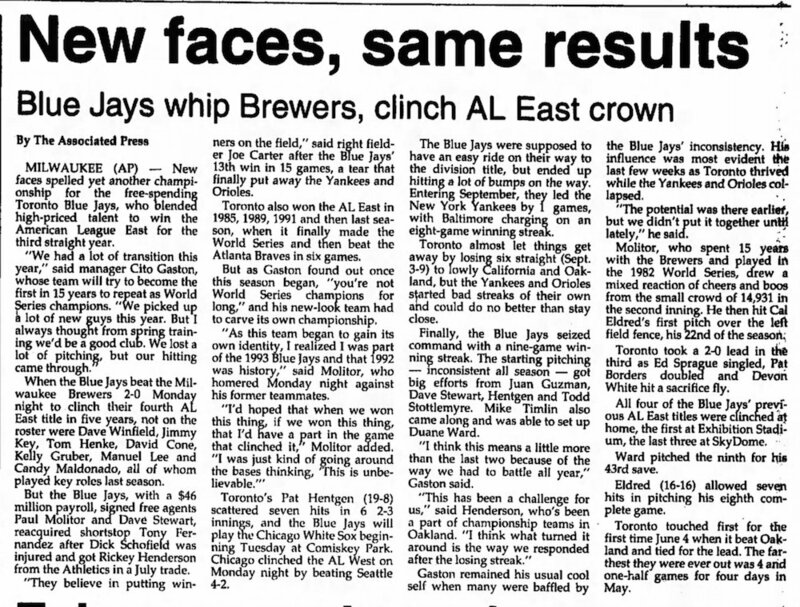 They went to another game, I can’t remember where, but the broadcaster said, “The Blue Jays just won their game and they are in the wild card spot—-for now.” It was the way he said “for now” with the inference that when they lose tomorrow, they will be back in their rightful place. I was so angry I yelled at the TV, “for now, but soon they will be in first place.” It made me feel better. In case anyone wonders where my brothers and I got it! I think Canadians are far more supportive of American teams then they are of our teams. There has always been this subtle ‘rift’ between the 2 countries…..it always comes out in sports…again subtly…..but it is there.